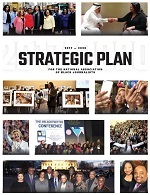 Annually, the National Association of Black Journalists (NABJ) pays homage to legendary black journalists who have made outstanding contributions to the industry. 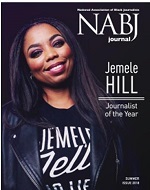 Over the last 19 years, NABJ has inducted over 45 journalists into the esteemed Hall of Fame. This year the festivities began with a Hall of Fame Roundtable; A conversation with the 2012 Hall of Fame Honorees. Below are some photos from the event. On Thursday, January 26, 2012, NABJ inducted five legendary journalists into its Hall of Fame, the organizations highest honor. The Ida B. Wells, which highlights the achievement of a media executive who has demonstrated a commitment to diversifying the nation's newsrooms, was also presented as part of the ceremony. The event took place at the Newseum in Washington, DC ,and was hosted by CNN's Suzanne Malveaux. Gwen Ifillof Washington Week and PBS NewsHour. Pat Harvey, co-anchor of CBS2s 5 and 11 pm broadcasts. Ruth Allen Ollison, media personality and esteemed Pastor of Beulah Land Community Church. Johnathan Rodgers, former TV One President and CEO and longtime journalist. Wallace Terry (Posthumously), former deputy bureau chief for Time magazine in Saigo and award-winning author, producer and public speaker. Represented by his lovely wife Janice Terryand friendJack E. White. Michael Fields, Ida B. Wells recipient, News Director and Diversity Champion of WABE.